Several months ago Leizhan provides a fireworks paper production line for Jinke paper mill. Recently we conveyed Jinke another batch of equipment, including Screen Pressure, Cleaner, Agitator and etc. Jinke Paper Co.,ltd. has purchased a whole set of 400t/d pulping equipment two years ago, and several months ago we signed Jinke another 200t/d fireworks paper production line. We believe that our cooperation will be continue, and we will set strict demands on ourselves, so that our customer can purchase the satisfied equipment with a low price. 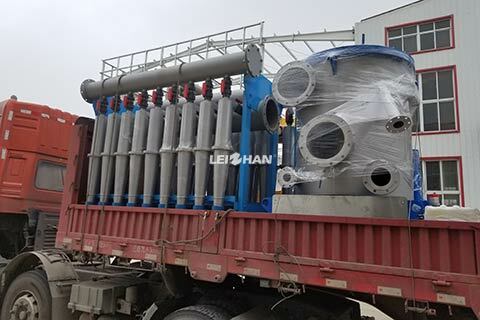 Leizhan provides various kinds of paper and pulp machine. Welcome to contact us for more details. Waiting for you!